The following pages give an overview of our school. Our School – school physical structure and general information. Mission Statement – our school’s ethos and aims in primary education. 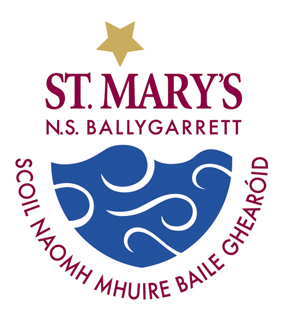 History – a short account of the school’s history in Ballygarrett. Staff – a list of the teaching, support and maintenance staff. Board of Management – list of the current members of the BOM. Parents’ Association – list of the committee and association members. School Calendar – list of important dates in the current school year. Extra-Curricular/Sport – description of the activities that pupils can participate in at our school. Green Schools – outlines the school’s participation in this environmental initiative. Active School – outlines the school’s participation in this good health based initiative.